Louth Old Boys hit double figures on Saturday as they chalked up their biggest win of the season on Saturday. Ellis Barker and Lance Johnson racked up four goals apiece as Old Boys built on a 5-1 half-time lead to run out 11-1 winners. 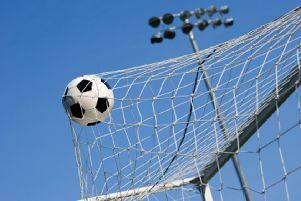 Daniel Gribbin also scored twice, and Reece Southwood was on target in their fifth East Lincs Combination victory of the season which moved them up to sixth in Division One. 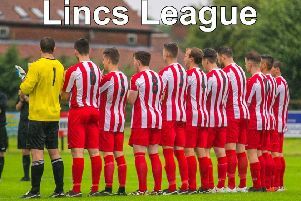 It was also a good day for Louth Old Boy Reds who moved to within three points of the Division Two leaders with a 4-3 win over North Cotes. Jordan Tebbs claimed a hat-trick and Alfred Vickers got the other as the Reds moved up to fifth in a congested table. Fellow Division Two title chasers Sutton Rovers and Alford Town were involved in a thrilling Junior Challenge Cup second round tie which went all the way to penalties. Second-placed Sutton were two places better off than Alford in the league, but the visitors led 2-1 at half-time. Sutton fought back to send the tie into extra time with the scores locked 3-3 at 90 minutes. Both teams struck again in the extra half-an-hour before Alford came through in the shoot-out, 5-3. Aaron Nurse (2), Adam Brownson and Alex Carter were the Rovers scorers, while Jess Marshall (2), Joe Irving and sub Jess Barrett were on target for Alford who ended the match with 10 men following Tom Lempard’s red card. But AFC Louth were involved in a more one-sided affair in the quarter-finals of the Town Trophy as they were swept aside 10-1 at home by Immingham Town Reserves. Morgan Perkins struck Louth’s consolation in the first half. Immingham will next face Louth Old Boys in the last four. There was no joy for our sides in Division Three where Louth Old Boys Vets were thrashed 4-0 at league leaders Barnoldby, and Alford Town Reserves were beaten 5-3 at Burgh Athletic, Daniel Ramsden and Lee Twigg with the consolations. Louth stayed third, but slipped 15 points behind Barnoldby, while Alford stay second-bottom.